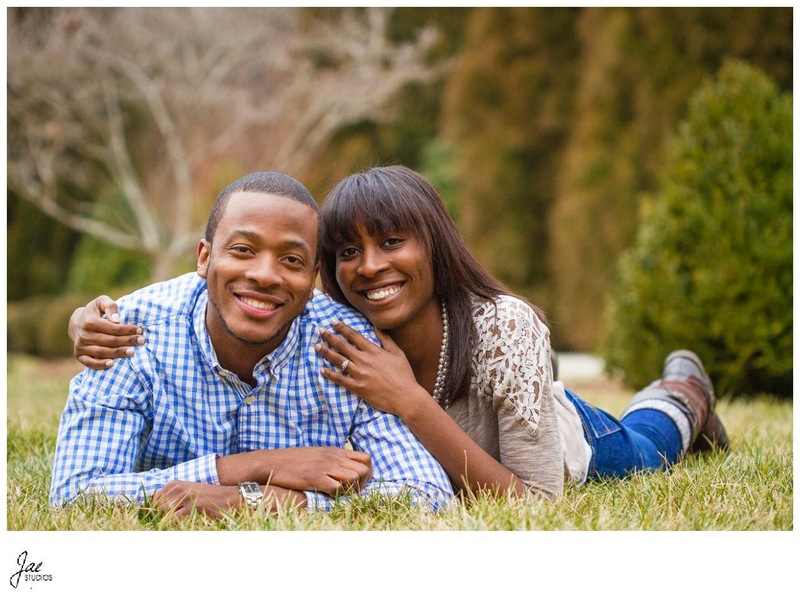 Brianna and Israel got engaged last Christmas and I have the privilege of meeting them and getting to know them through our church, Forest Community. 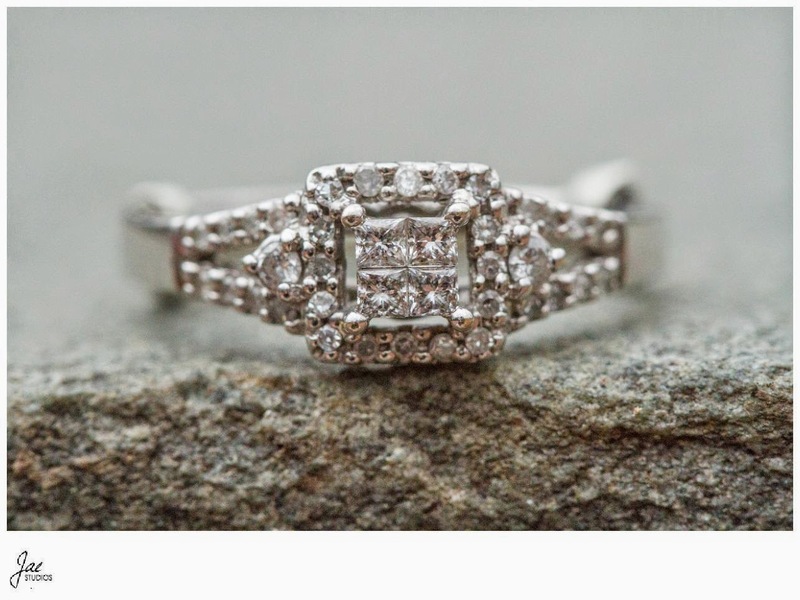 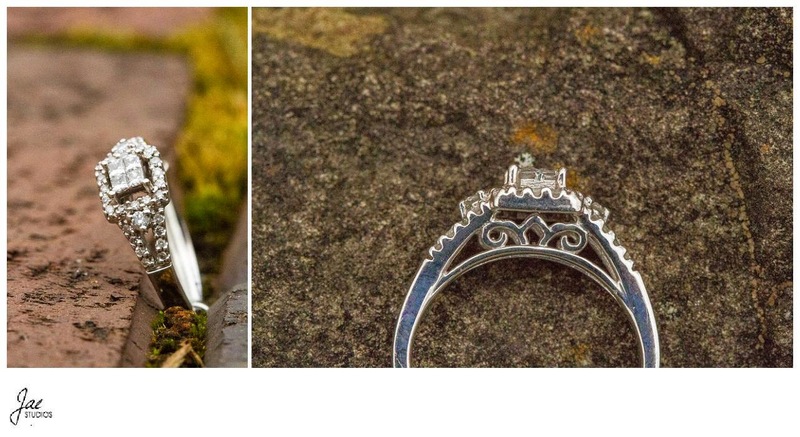 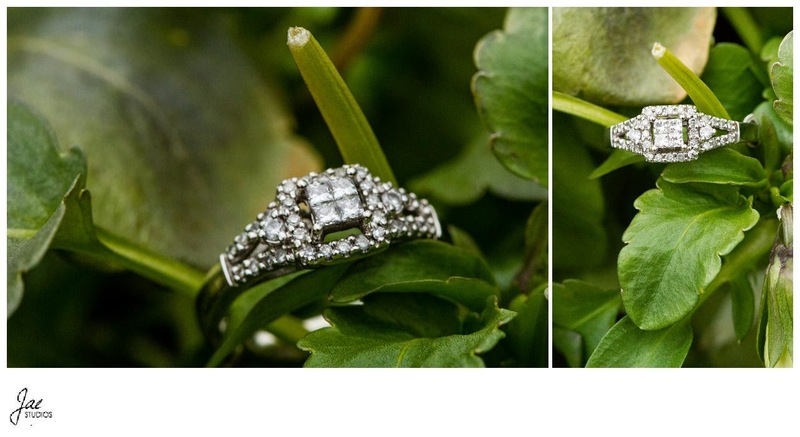 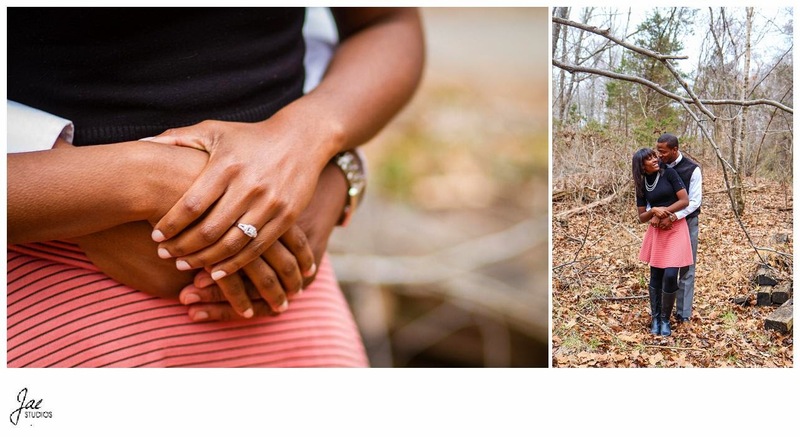 I was thrilled when they asked me to photograph their engagement session. 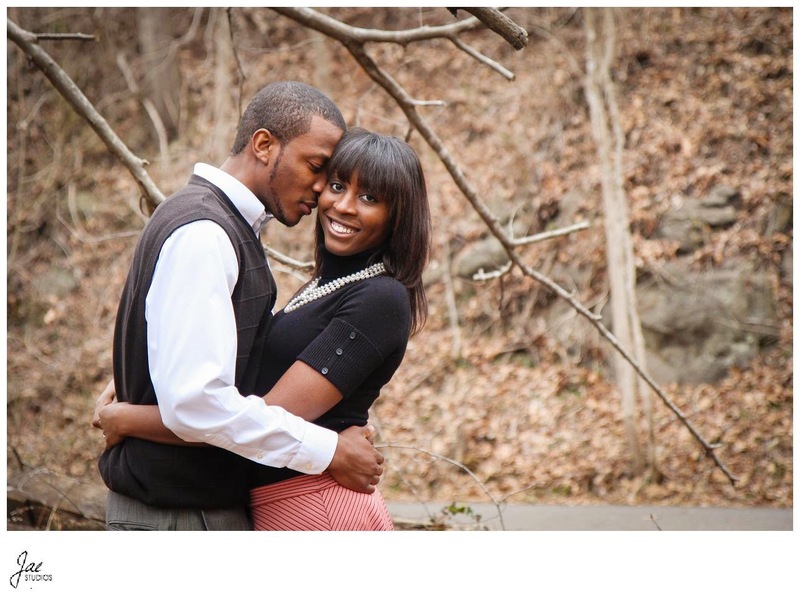 Brianna currently lives in Richmond, Virginia where she is a nurse and Israel is living here in Lynchburg. 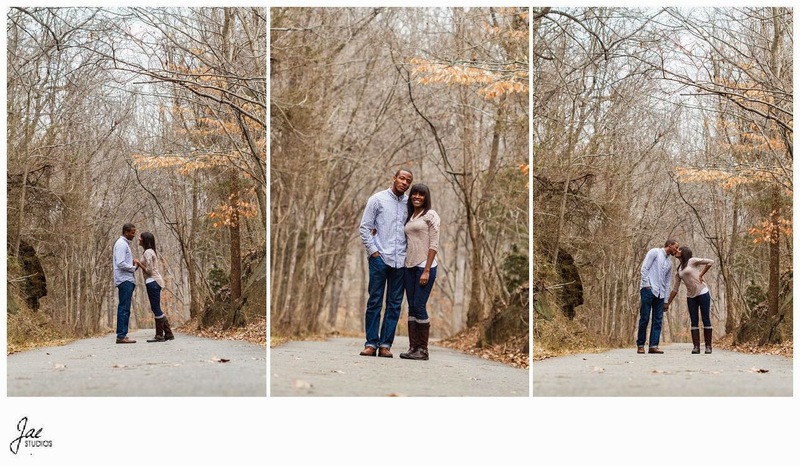 So we worked together to schedule their engagement session here as soon as Brianna could be in town as well! 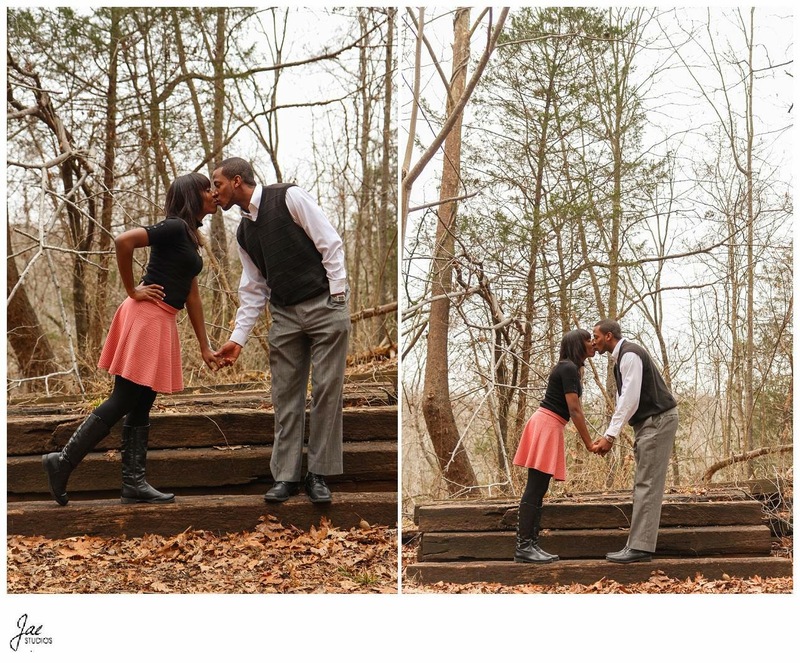 We finally met in February! 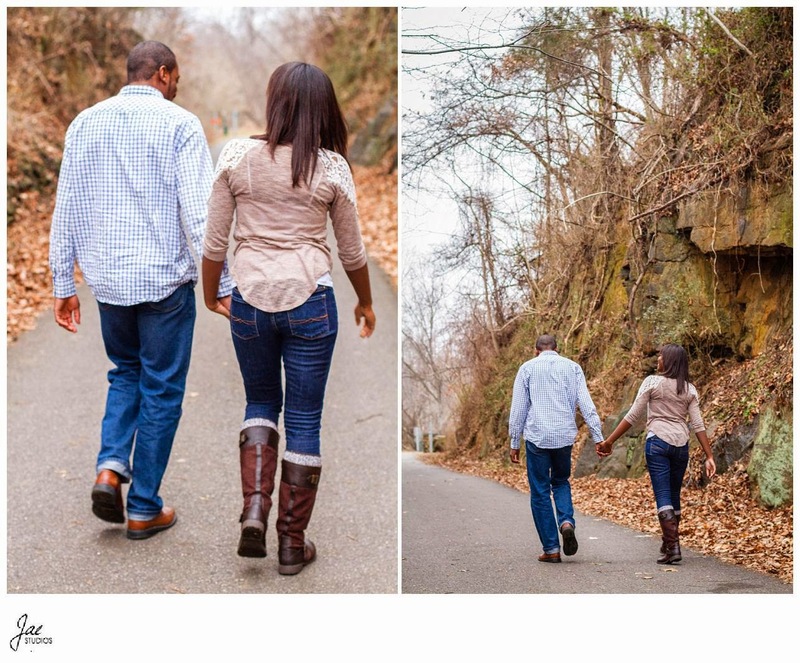 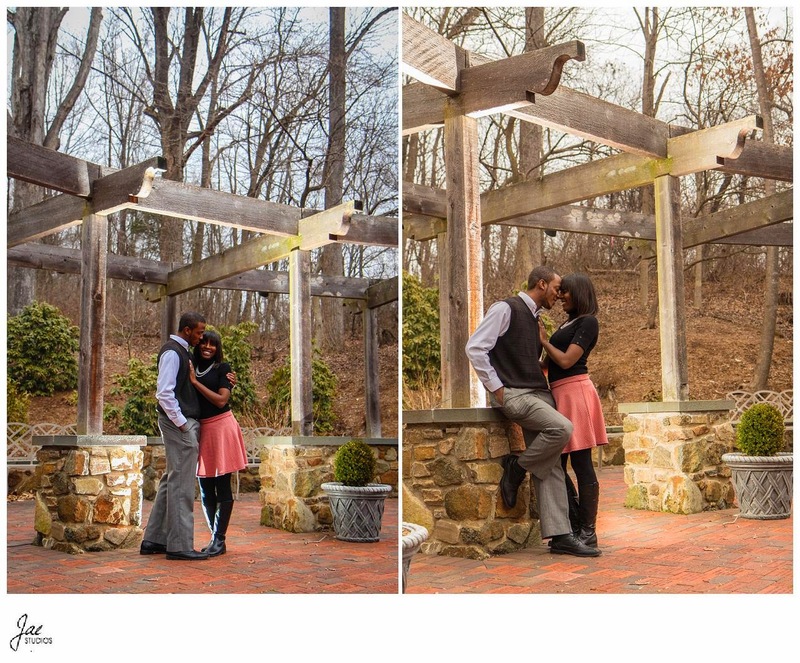 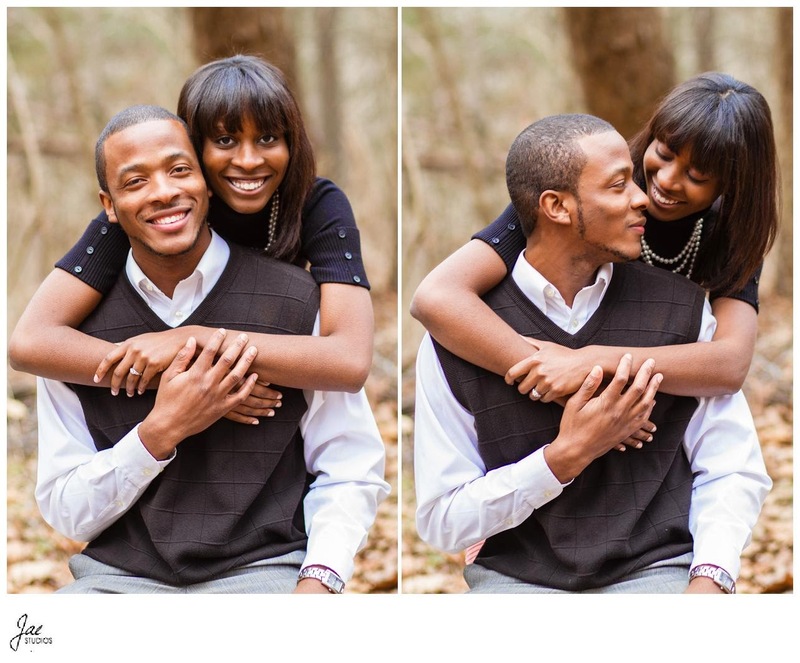 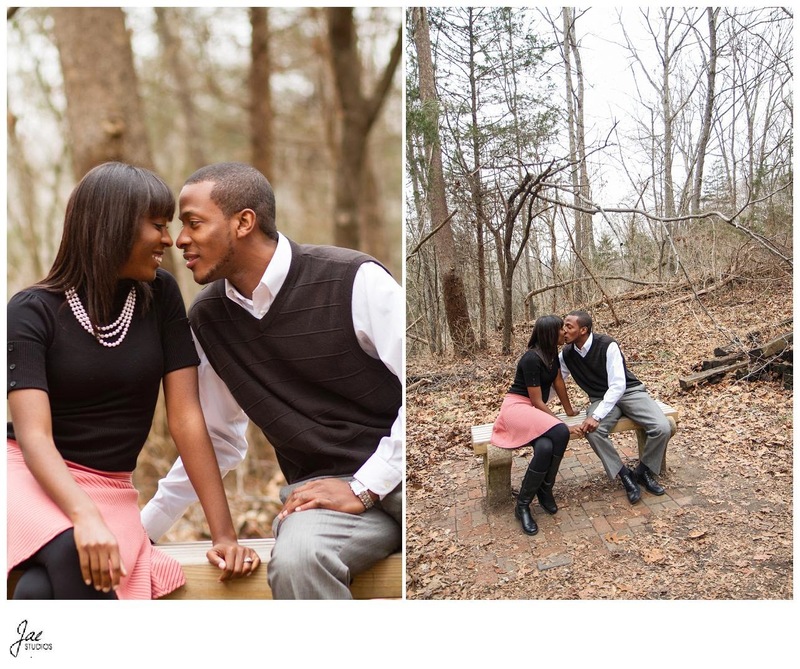 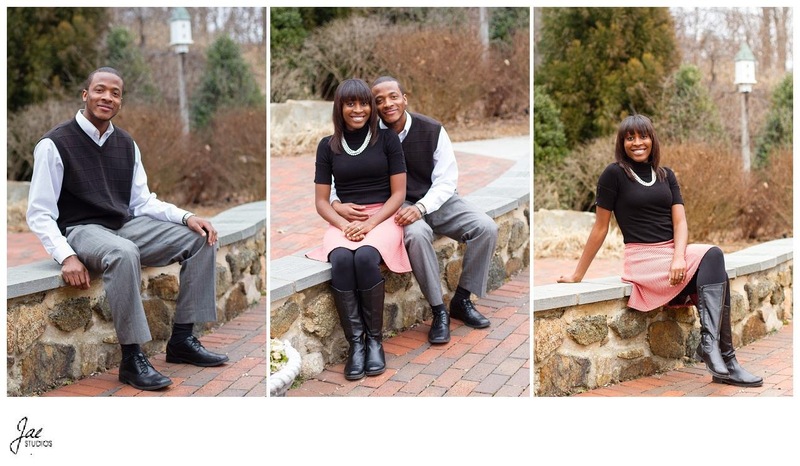 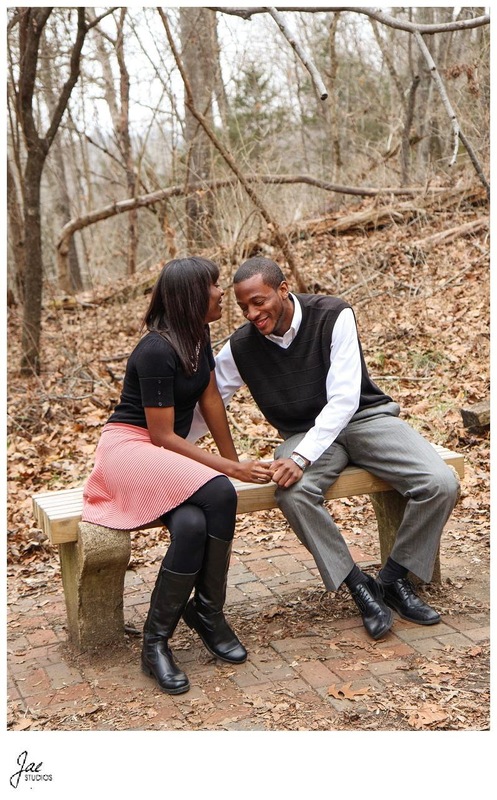 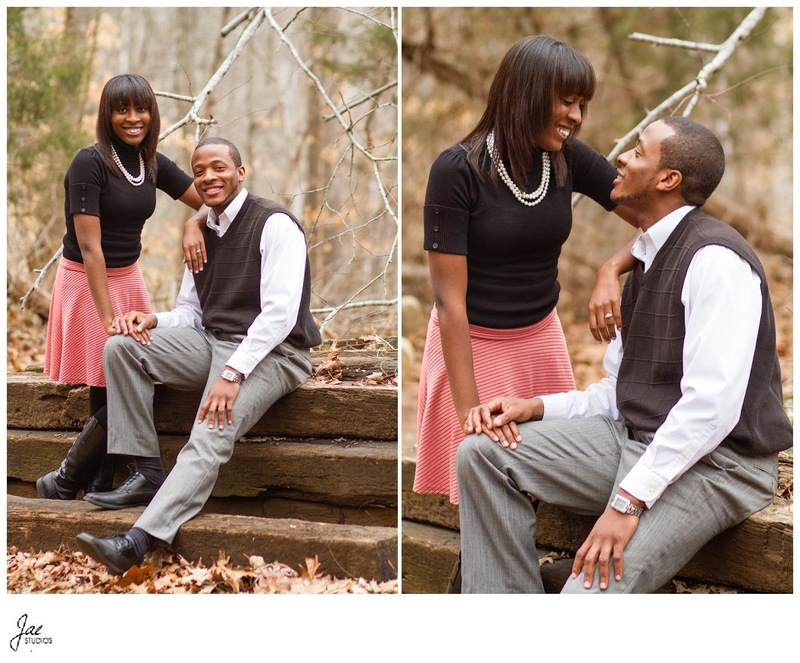 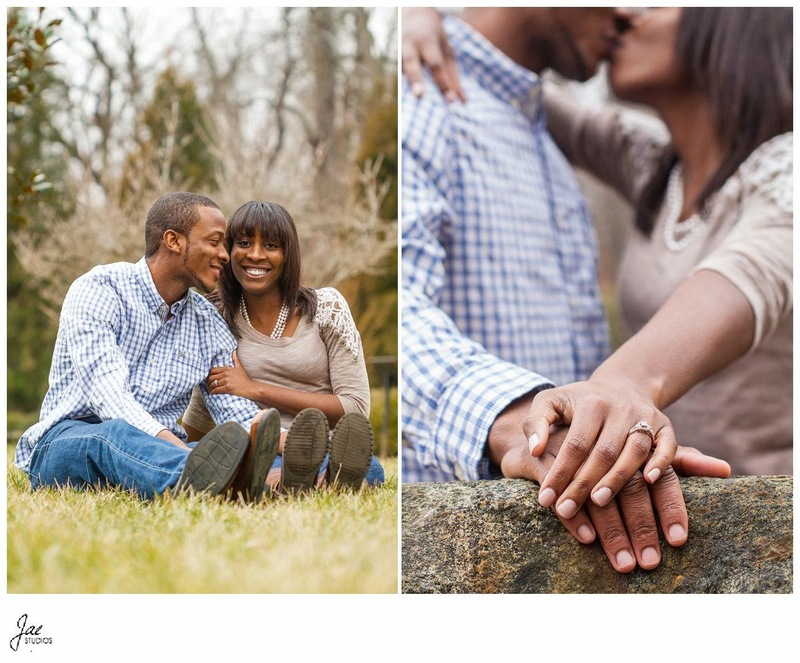 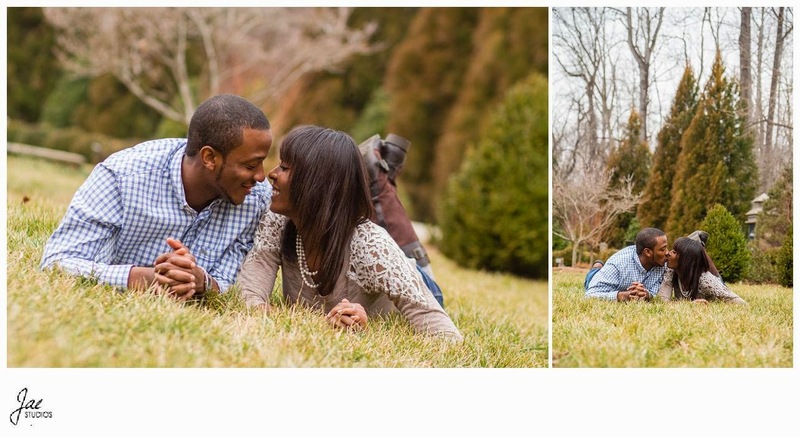 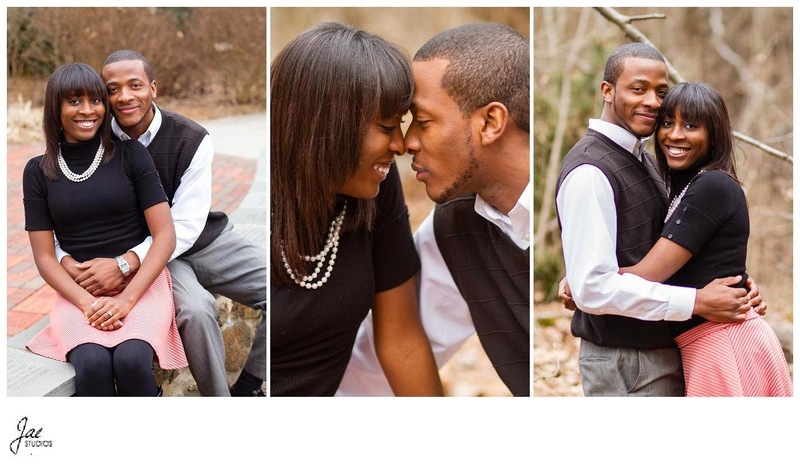 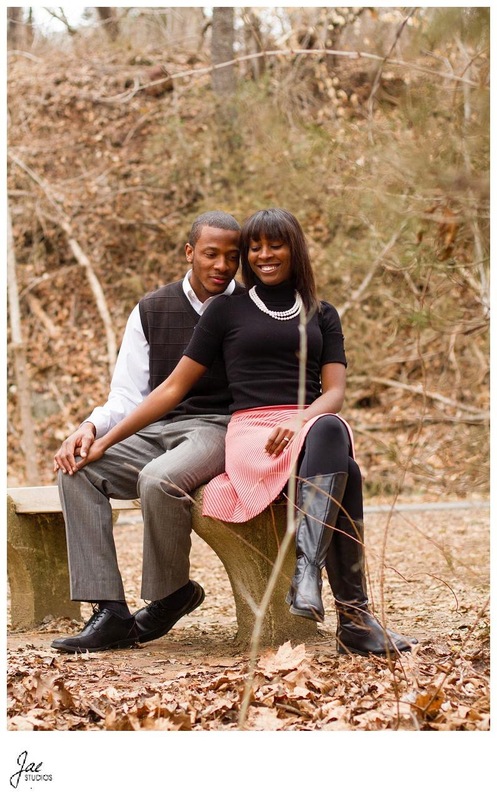 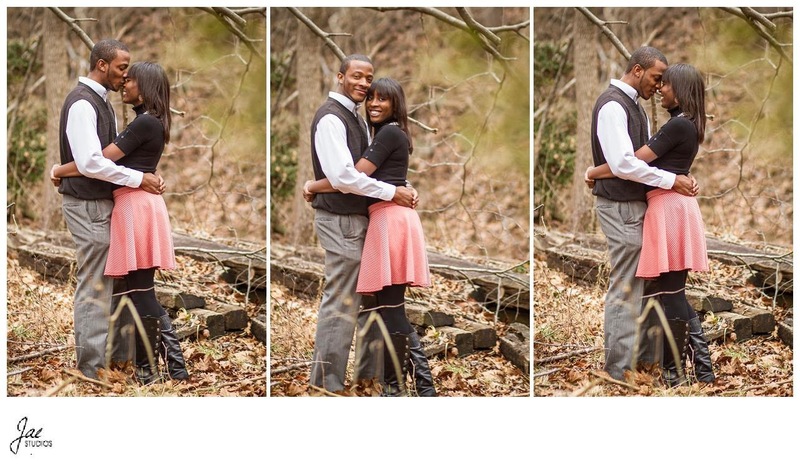 Winter engagement sessions are fun to show off your winter weather sweaters and boots – even outerwear! 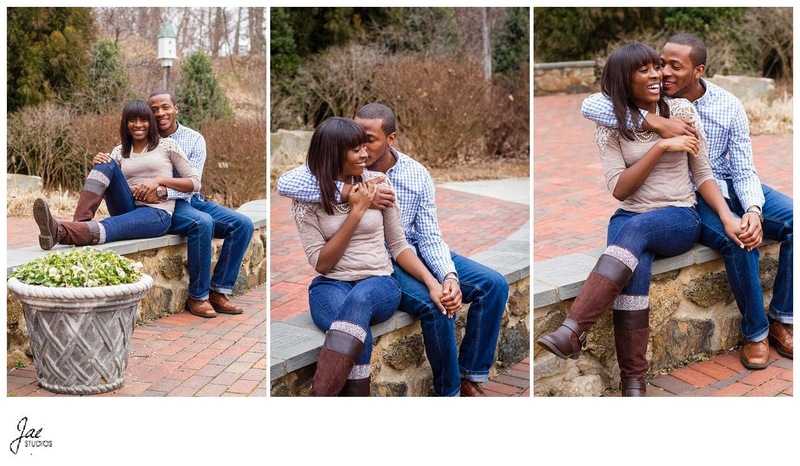 The weather was a little chilly and started to drizzle a little at the end but that didn’t dampen their spirits at all! 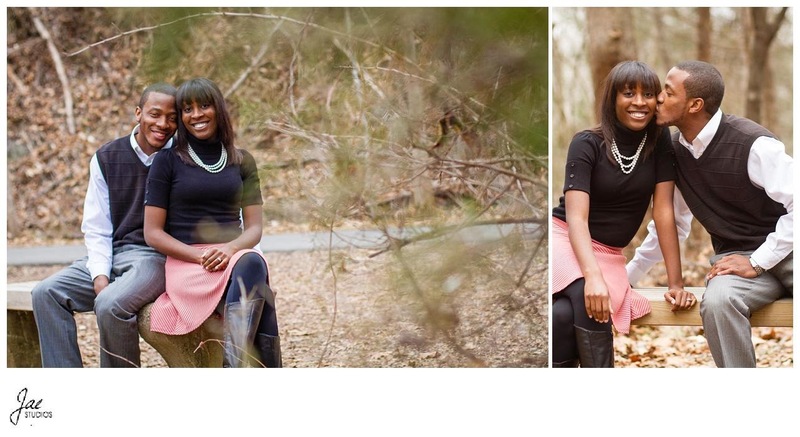 The Blackwater Creek Trail and the Awareness Garden at the Ed Page Entrance was a beautiful backdrop for the session. 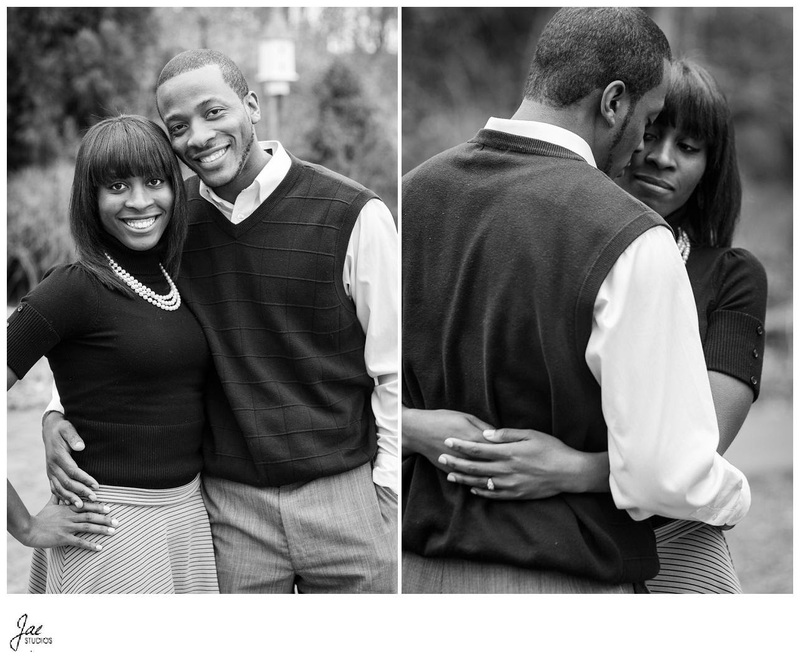 Although, I am not photographing their wedding I am thrilled I could capture their joy as they prepare for their day in October!